CEC car park is for tenants only. 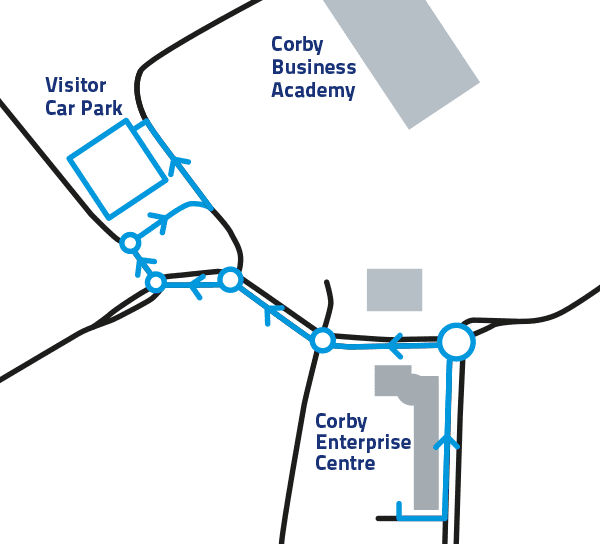 All your visitors are directed to the overflow car park at the Corby Business Academy. It is the first car park on the left –Signposted Parents Car Park. The post code is: NN17 5EB.